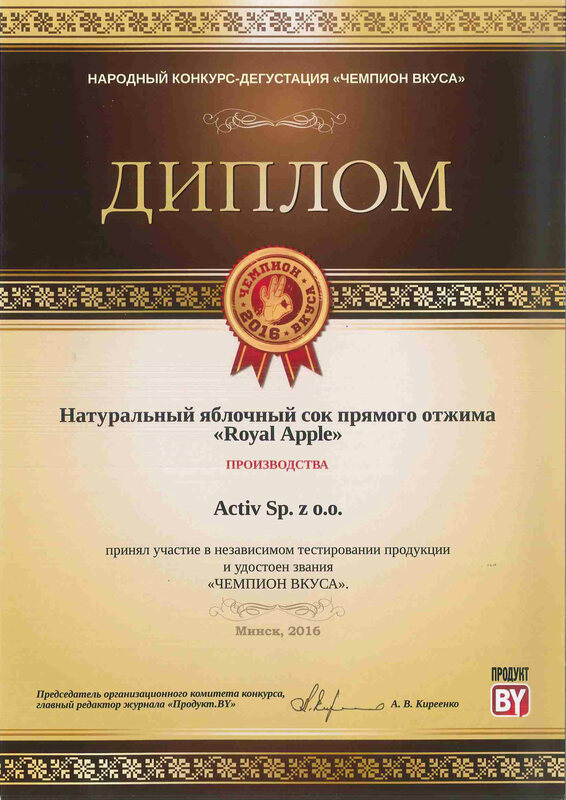 Quality control, safety and hygiene standards are key issues in production of Royal Apple juices. 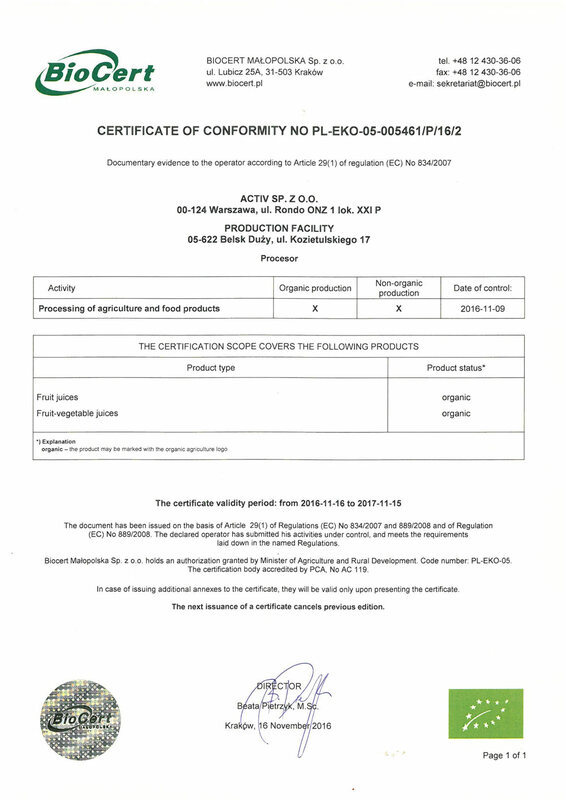 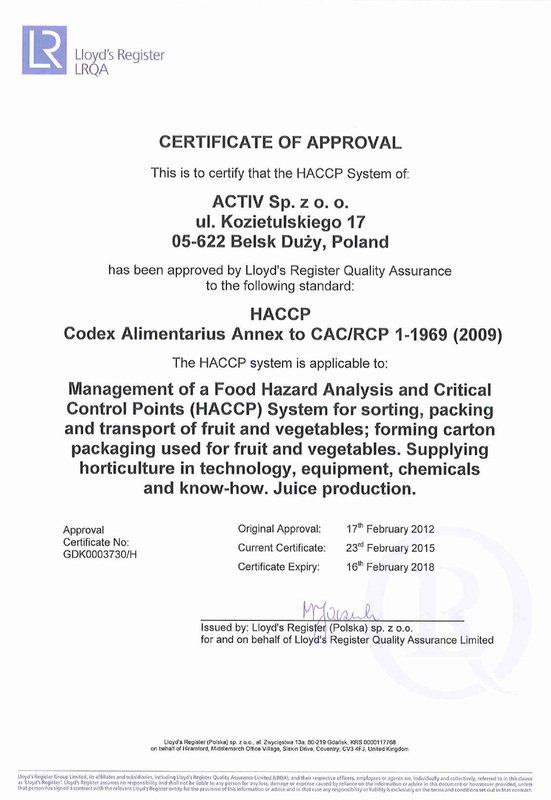 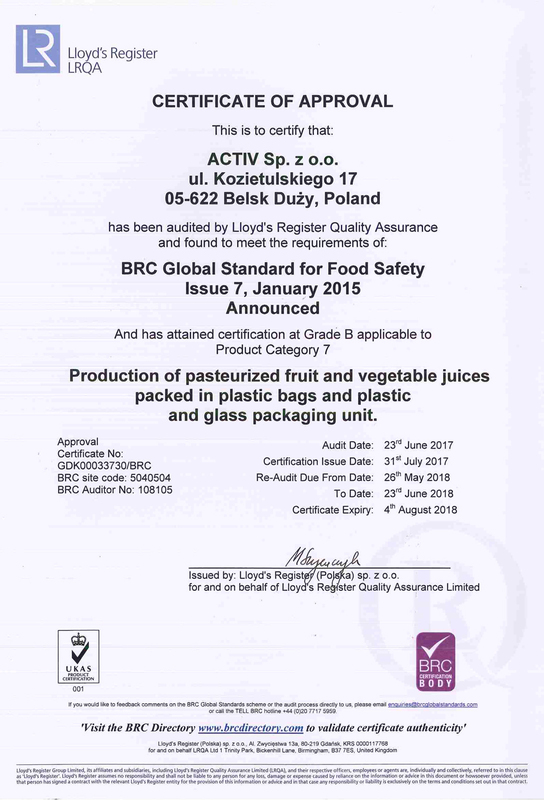 We are proud to inform that our Factory has just received a certificate of approval of the BRC Management System for NFC juice production. 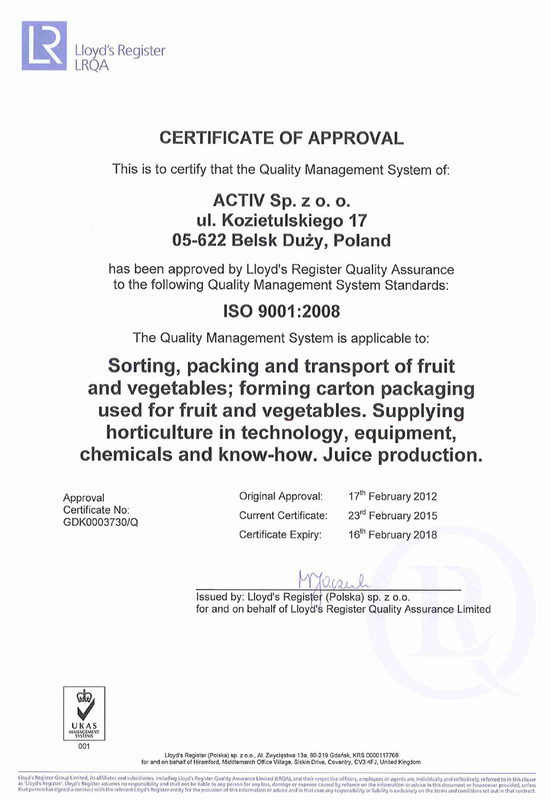 the District Court for the Capital City of Warsaw, XII Economic Division of the National Court Register.